Superdry men’s International monochrome long sleeve t-shirt. 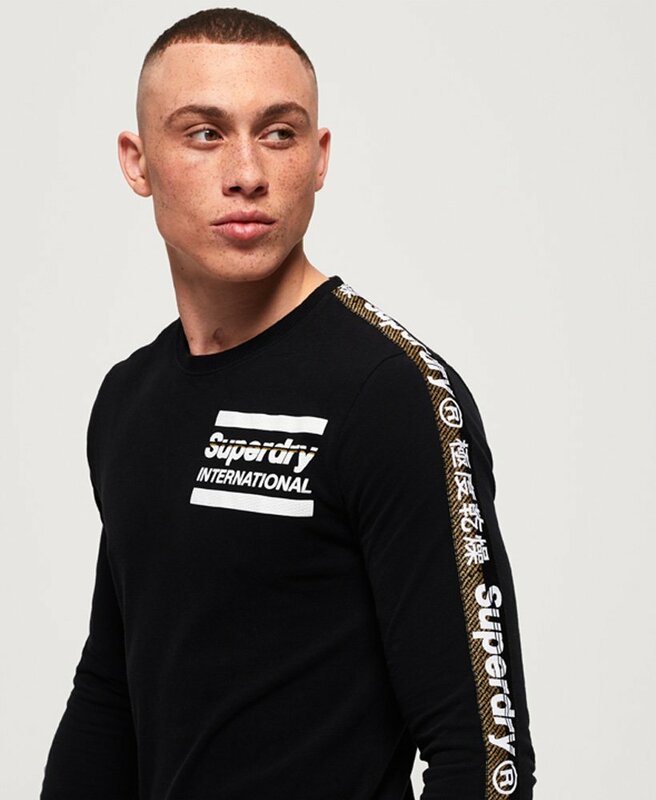 Part of the monochrome trend, this long sleeve tee features a crew neckline, Superdry logo panelling down both sleeves and a unique, textured Superdry logo on the chest. For the finishing touch, the tee is completed with a logo tab on the hem.